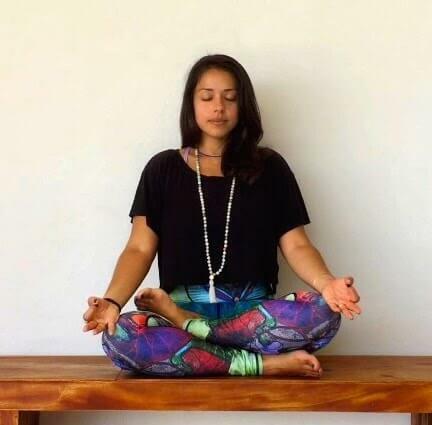 This week in Roaming Yogi land, some new moon yin to align with the new moon energy! My interest in the moon cycles has been reawakened by Jill Wintersteen, also known as Spirit Daughter. She was on the Almost 30 podcast a little while ago and their conversation blew me away. Jill is the creator of Spirit Daughter, an LA-based wellness brand that focuses on astrology. She makes these beautiful new moon and full moon workbooks, which are part of what have reawakened my interest in the lunar cycle. I highly recommend checking her out! As we are approaching a new moon, I have decided to try and really align with this lunar cycle, and I’m inviting you to come with me! 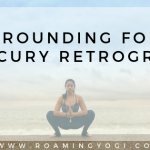 This week we’ll be aligning with the new moon energy; next week with the first quarter moon; the full moon the week after that; and finally, the fourth quarter moon. The new moon marks a fresh start to the moon cycle and a fresh start for us as well. This is the darkest night of the moon’s cycle, and in this quiet darkness, we are encouraged to go inward. New moon energy is introspective and still. This is a time to rest, reflect, and plant seeds. To set new intentions, start new projects and begin to cultivate positive new habits. The moon orbits the earth, and earth (with the moon orbiting around it) orbits the sun. From our perspective here on earth, the part of the moon that is illuminated (and how much) changes over time. During a new moon, the sun, the moon, and the earth are perfectly lined up, with the moon and the sun being on the same side. The moon is between the sun and the earth, so the side of the moon facing the sun is fully illuminated, while the side facing the earth is completely dark. I mentioned that the sun and the moon are together in the sky during a new moon. Their combined energies and gravitational pull make the new moon a powerful time to harness the energy of the cosmos to create and design our lives (to set intentions for how we want our lives to unfold). How does this work? Well, our consciousness – our awareness of external stimuli – is made of many layers. Some are at the forefront of our awareness and are easy to see and work with. Others are buried deep down in our subconscious. This is where conditioned patterns, hidden fears, hidden dreams, and often our true authentic Self lies. During a new moon, the additional frequencies provided by the sun and moon being together, helps to bring our subconscious energies to the surface of our minds. So the new moon is a time to find out who we really are. To consider what patterns are forming on autopilot, and what desires are buried beneath our logical, rational mind. It is also a time to access our intuition and higher knowing. As mentioned above, the new moon is a time of introspection. New moon energy is quiet and still, so this is a time for quiet and stillness. That’s why I have prepared a new moon yin practice. 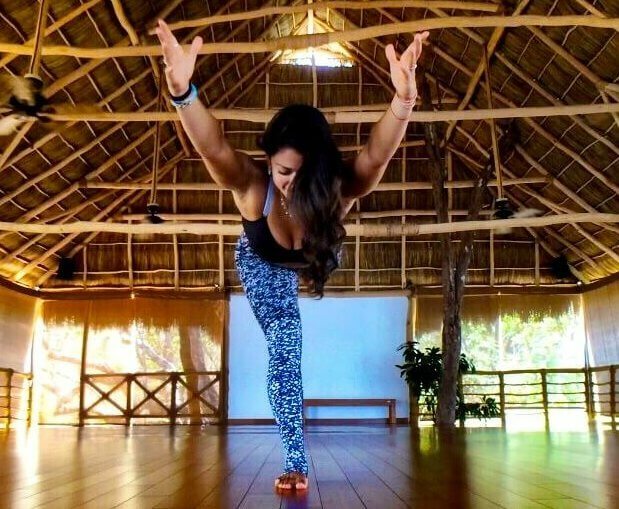 As you find stillness in these new moon yin postures, listen to what your heart whispering to you. What are your deepest desires? What do you want to see come to fruition in your life? Consider what seeds you wish to sow on this new moon; what do you want to manifest? I invite you to write down your projects or intentions, and to keep this piece of paper somewhere you can see it, so you can stay connected to them as the moon waxes. 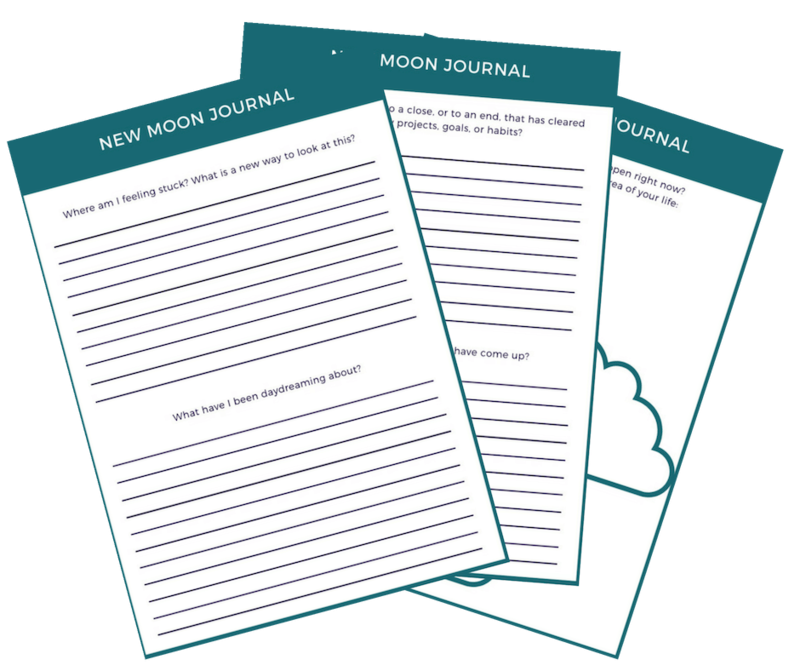 To help you in that endeavor, I have prepared some new moon journaling questions for you. You can sign up to get those below! Download the new moon journal prompts to help you set your intentions for the lunar cycle. I want the new moon journal prompts! 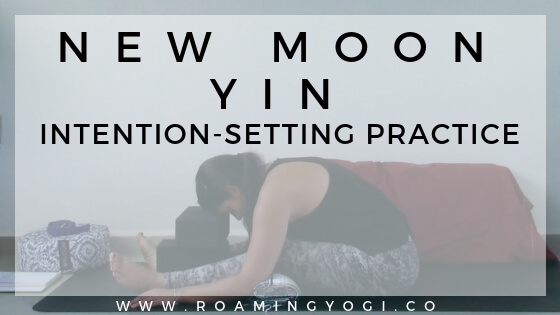 Inquire deeply, my friend, and then join me on the mat for this soothing new moon yin practice. I love anything related to the Moon cycle too and try to incorporate the theme into my classes during certain lunar happenings. Thank you so much for sharing! Loving all of your content. I’m so happy you’re enjoying the content, Rose! Happy new moon! I couldn’t agree more, Mary. I’m so happy this is resonating with you. Happy new moon! Morning Natalie. I am unable to download the journal prompts. Is it my service or is there a problem?? Hi Suzanne, hmm that’s odd. Have you tried the download link in the weekly email? The subject line is “[New Yoga Video] New Moon Yin”. The link in that email should download them for you. 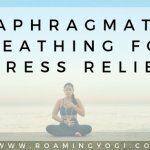 If that doesn’t work, let me know! Hi Natalie, I was not subscribed to your newsletter at the time of this post & the link on your website does not seem to work. Hi Claire, I’m so sorry about that! Thank you for bringing it to my attention! I’ve fixed the form on the site and I’ve gone ahead and signed you up for those journal prompts – they should be in your inbox now! Fill out the form below and I'll send these journal prompts straight to your inbox! Yes, I want the free journal prompts!